Who doesn't love chocolate? We can't find anyone. So we can all rejoice that new research has given us a justifiable reason for it to no longer be a guilty pleasure. While an approach of everything in moderation does need to be adopted, scientists say eating a couple of squares can help reduce the risk of a stroke and heart disease. In a new report published in medical journal Heart, the findings - which are based on a 12-year study of 21,000 Britons - suggest that eating dark or milk chocolate could be beneficial for health. This goes against advice that many people at risk of heart disease receive, which is to avoid sweet and fattening foods. "There does not appear to be any evidence to say that chocolate should be avoided by those who are concerned about cardiovascular risk," the researchers, who are from the universities of Aberdeen, Manchester, Cambridge and East Anglia, told the publication. The study found that people who regularly ate chocolate were 11 per cent less likely to have a heart attack, stroke or other cardiovascular problems than people who ate none at all. Some of those who ate chocolate consumed 100g a day and it was also associated with a 25 per cent reduced chance of dying from a heart problem. However the investigation did just look at statistical trends, with researchers admitting that there is a chance the results were affected by the fact that people who are at high risk of heart disease may follow the advice to avoid sweet foods. It means those who regularly eat the treat might already be healthier. "Nevertheless, the cumulative evidence suggests that high chocolate consumption may be associated with cardiovascular benefit," they added. 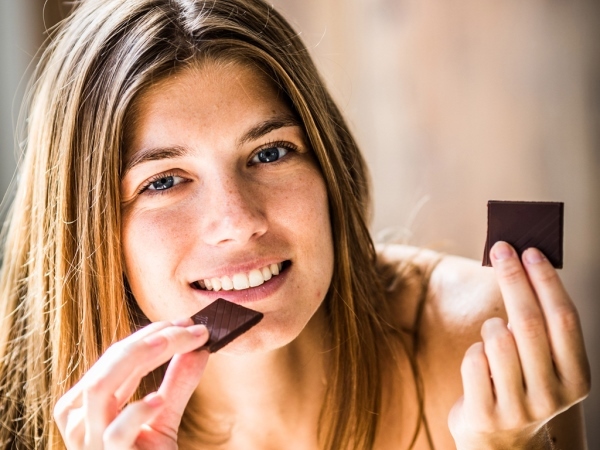 While dark chocolate has been named as having some health benefits in the past, this research believes that the milkier varieties could also help. "Milk chocolate was more frequently consumed than dark chocolate in this cohort," they continued. "However, we still observed a reduced risk of cardiovascular disease. This may indicate that not only flavonoids, but also other compounds – possibly related to milk constituents such as calcium and fatty acids – may provide an explanation."